조선 선조 25년(1592) 임진왜란이 일어나자 당시 충청도 의병장으로 금산벌판에서 왜병과 싸우다 순사한 중봉 조헌(1544∼1592)이 남긴 유물로 총 6종 7점이다. 조헌은 의병장으로, 문과에 급제한 후 호조좌랑, 예조좌랑, 감찰을 거쳐 보은현감으로 나갔으나, 여러 번 재등용되었는데 사직하고 임진왜란이 일어나자 옥천에서 1,700여명의 의병을 일으켜 영규대사와 합세하여 청주를 탈환하였다. 이어 금산에서 왜군을 막기 위해 남은 군사 700명과 함께 금산전투에서 장렬히 싸우다 전사하였다. 유품에는 『조천일기』와 문과에 급제했음을 알리는 임명장인 교지, 의병장 제수교서, 조헌종사문묘 교서, 치제문 2매 등이 있다. 간략히 살펴보면 『조천일기』는 조헌이 선조 7년(1574) 명나라에 질정관으로 파견되었을 때 남긴 일기이다. 이 일기는 영조 10년(1734)에 왕명에 의해 간행되기도 하였다. 문과급제 교지는 조헌이 나이 24세에 명종 22년(1567) 문과에 급제한 교지로서 조헌의 관계문서로서는 제일 오래된 것이다. 의병장제수교서는 임진왜란이 터지자 선조임금이 조헌에게 충청도 의병장으로 제수한다는 내용이다. 그리고 조헌종사문묘 교서는 1883년 고종임금이 조헌을 문묘에 제사지낼 것을 명해 내린 교서이다. 또한 치제문(致祭文)은 2매로, 1795년 정조와 1812년 순조가 조헌 영전에 그의 죽음을 기리며 보내는 제문이다. 이외에도 대나무를 조각하여 끈으로 꿰어 차도록 만든 화살통도 있다. These are relics related to Jo Heon (1544-1592), who was a commander of the righteous army in the Chungcheong-do area. He fought and died on the battlefield of Geumsan with his 700 men at the outbreak of the Japanese invasion in 1592 (25th year of the reign of King Seonjo of the Joseon Dynasty). Jo Heon passed the civil service examination and served in various government posts such as assistant section chief of the Ministry of Rites and Ministry of Taxation, inspector general, and magistrate of Boeun. He was reassigned and promoted several times but gave up his office to raise a righteous army when the Japanese invasion broke out. He gathered 1700 volunteer soldiers in Okcheon and took over Cheongju. At a follow-up fight in Geumsan, he fought with the remaining 700 men and died on the battlefield. His relics include Jocheon ilgi, which is a record of his personal travels, certificate of his passing the state examination, letter of assignment, letter of command, and two letters of condolence. 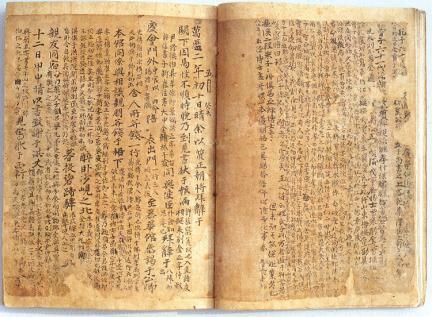 Jocheon ilgi is a diary written by Jo Heon during his stay in Ming China as an envoy in 1574 (7th year of King Seonjo’s reign). 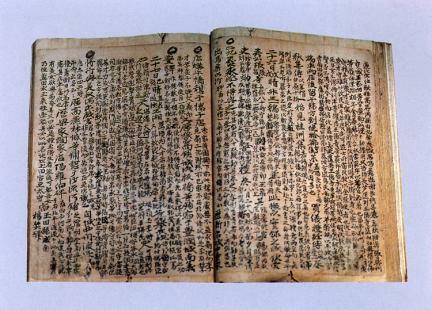 It was published in 1734 (10th year of King Yeongjo’s reign) by the king’s order. 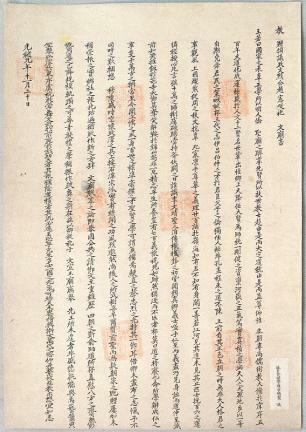 The certificate indicates that Jo Heon passed the state examination at the age of 24 in 1567 (22nd year of King Myeongjong’s reign). 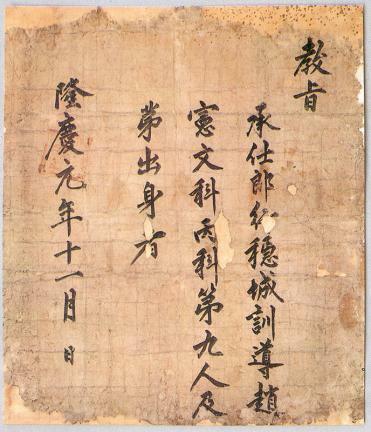 It is the oldest among Jo Heon’s official documents. 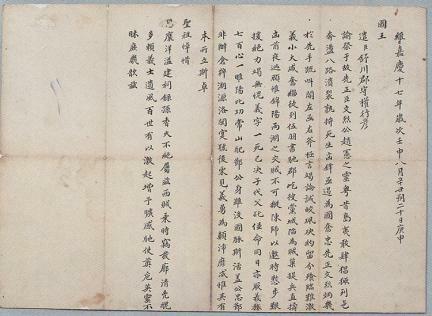 The letter of assignment shows that Jo Heon was assigned as commander of the righteous army in Chungcheong-do by King Seonjo. 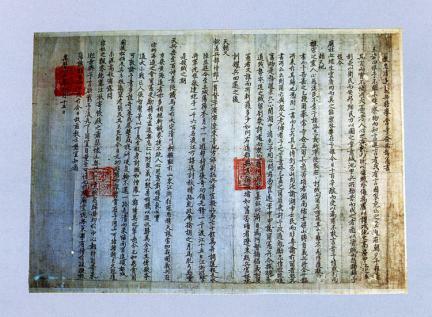 The letter of command was issued by King Gojong in 1883 to enshrine the mortuary tablet of Jo Heon in Munmyo Shrine. 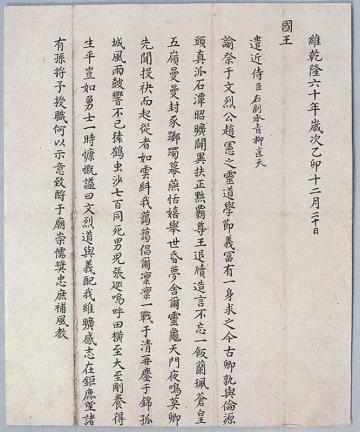 The two letters of condolence were written to the deceased Jo Heon – one by King Jeongjo in 1795 and the other by King Sunjo in 1812.